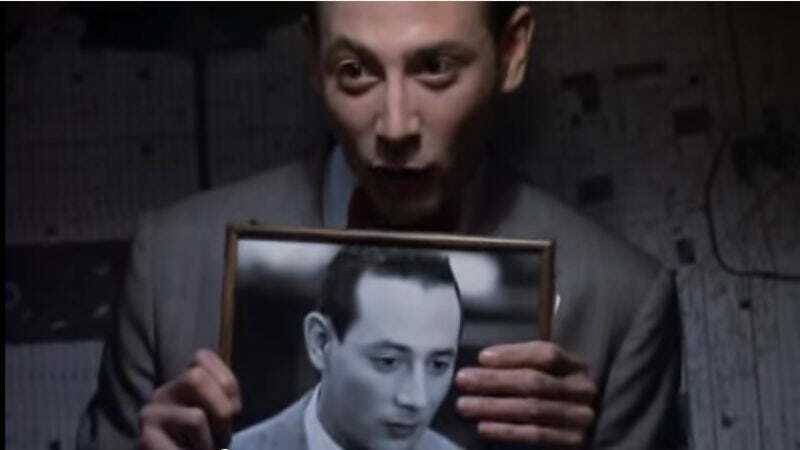 A Judd Apatow-produced Pee-wee Herman movie has been teased for more than four years—a film that still doesn’t officially have a name, so there’s nothing for all the murmurs and rumors to wear out. Last week, Reubens added to the more than 217 bits and pieces of information (evidence!) pertaining to the film, telling Rolling Stone that an announcement is “imminent”—so imminent, in fact, he told the Nerdist podcast that a director has been chosen and a start date (March 2015) has been set. But according to Reubens’ appearance on The Tonight Show last night, we may be closer (and closer still) to a new Pee-wee movie. Ushering his most famous creation into the 21st century by seizing on 2014’s hottest cinematic trend—Announcements!—Reubens told Jimmy Fallon that filming begins in February, with more concrete details merely “a week away.” But given the way that timeline keeps accelerating, it’s entirely possible that the film will have already been fiilmed, cut, and printed by the time the announcement is made.